Appraisals – Who do they Belong to? A mortgage broker’s job comes with its share of uncomfortable moments. Telling a client that you can’t provide them with the appraisal they just paid for is one of them. It’s an issue that comes up time and again, but one that’s frequently misunderstood. Appraisers and brokers cannot simply hand over appraisals to clients, despite the client being charged for them. Here’s why. “It’s actually a fairly simple answer to be honest with you,” says Keith Lancastle, Chief Executive Officer of the Appraisal Institute of Canada (AIC), whose 5,000 members make up 80 percent of certified appraisers in Canada. “It’s one of those things where our members’ obligation is first and foremost to his or her client,” he said, and the “client” is almost always the lender, whose guidelines the appraisal is prepared under. Aside from the fact that the lender is the appraiser’s client and therefore retains ownership of the report, Lancastle says there’s another reason appraisal reports aren’t freely distributed. “More often than not, lenders are reticent to give prospective homeowners a copy of an appraisal report because they could…[shop] it around” with other lenders. Industry association Mortgage Professionals Canada notes that appraisal costs are like any other fees paid for by the client for the benefit of the lender. Other such fees include mortgage default insurance and title insurance. If a mortgage broker is directly asked by the client for a copy of the appraisal report, Mortgage Professionals Canada recommends seeking the lender’s approval prior to releasing the information to the borrower. She adds that she is not aware of any lenders taking legal steps with a broker or brokerage for an appraisal being released without the lender’s consent. However, brokers should advise borrowers that the appraisal, if provided, is for information purposes only and cannot be used for financing purposes with another lender. Parting Note: While a lender is not necessarily obligated to release the full appraisal to the borrower, some of the information in the appraisal is the borrower’s personal property, and accessible to them under PIPEDA legislation. More on that. Great post and very timely, considering the frenetic market activity we see today with so many homes selling over list with no conditions. There are a host of reasons not to release appraisals to the public, many are listed here but there is another important reason: 4 times in my career I have been shown appraisals that have been fraudulently altered and all resulted in losses to lenders and lawsuits involving many parties. In one case the client altered the appraisal and the other 3 times a mortgage broker altered the appraisal. In all cases the appraisal had been originally addressed to a lender that was not involved in the fraud based lending. So someone released those appraisals to evil doers and although the intended lender, the original brokers and bank reps who ordered the appraisal and the appraiser who actually did the appraisal had nothing to do with the appraisal being released, in all cases the appraiser was named in the litigation although they had nothing to do with the fraud. All the fraud cases involved private lending and all had big losses. Bottom line is: don’t release appraisals to anyone other than the lender who needed the appraisal or unless both the original lender and the appraiser have signed off on the transmittal. I don’t follow your logic. If the problem is that somebody altered a valid document that they purchased and it was used fraudulently with a separate party then how is selling the original document to that person the problem????? The problem is that the document can be altered and counterfeited/falsified and passed off as real. That means the appraiser is possibly at fault for not doing enough to secure the document. It also means the party that was given the fraudulent document didn’t due their due diligence to verify the correctness of the document. I don’t see how the act of giving a copy of the document is the problem. 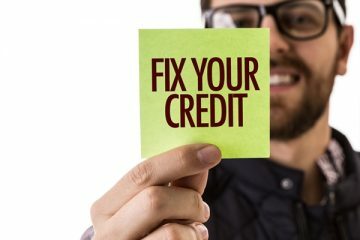 The whole thing could be rectified by giving the document to the customer from the beginning but requiring the lender to retrieve their own copy via a separate delivery method once that lender is approved by the customer to receive the copy. The point is that you are wrong about what the problem is. Every home buyer should have a copy of EVERY document used in the purchase process and that includes the appraisal if there is one. The homeowner has the RIGHT to access ALL information pertaining to the property THEY OWN. Appraisals hold tremendous power and have a significant impact on people’s lives, so why SHOULDN’T they have access to that information? I am currently trying to find out why my house has gone DOWN in value since the last appraisal six years ago. It was assessed then at $575,000, and MPAC confirmed that property values in this area have risen 7.5% in total over the last five years. In addition to that, I have done some substantial upgrades- rebuilt an entire back wall of the house, increased foundation blocks, new floor to ceiling windows the length of the wall, rebuilt the entire roof with new rafters inside and out, new plywood over the entire roof to level out the pitch, 2 new electric skylights/blinds, 5″ of spray foam insulation, Grace Ice & Water Shield, and $6000 worth of Architectural Heritage Steel Roofing (regular would have cost me roughly $1800 for the same amount), to the tune of about $40,000. The first appraiser put it at $350,000- DOWN $ 225,000 from the value SIX YEARS , and a second appraiser (that said he didn’t really want to do it because of the circumstances involved- their company had done the appraisal 6 years ago) put it at $455,000- DOWN $120,000 from the previous value. Yet, NO ONE will give me ANY explanation as to WHY the value has ‘apparently’ gone down. WHY am I not entitled to see this information??? I have EVERY RIGHT to know. This is a unique 1857 log home, on a river, with 3.35 acres, so the ability to find comparable properties may have played a role, but if so, that is something I WANT TO KNOW. I want ANSWERS, and if I have to pursue this legally, I am at the point that I am prepared to do so. As you can well imagine, this has had far-reaching consequences for me financially and has made a complete mess of my mortgage renewal. Something is evidently wrong here and I don’t know where to turn for assistance. The Appraisal Institute of Canada simply gave me their ‘standard reply’ : “We have no input or control over values and if you have a complaint, you need to file a form.” Any suggestions, comments, advice, etc. would be appreciated! Its been long standing in the industry that whoever orders the appraisal is the one who owns it. Many appraisers put this right in the body of the appraisal, so to say that the lender is the one that owns it is misleading, unless of course its done thru a Solidifi or NAS because then it is directly ordered for the lender. It has been this way for years so to say the lender is the owner is not exactly correct? Hi Lorilee, It’s a bit of a semantics game but the lender is deemed to have “ordered” the appraisal, even if the broker arranges it and the client pays for it. Now, there may be other ways clients can get access to information in the appraisal. This link covers that further: https://www.priv.gc.ca/cf-dc/2008/390_20080507_e.asp . Moreover, there’s a question of enforcement because — in practice — we know that many brokers provide clients with the appraisal after closing. The whole issue here is simply who is paying for the appraisal – the purpose of which is to protect the lender’s invested interest. If the lender wants this protection then they should be the party that pays for it. The only reason purchasers rightly feel they should be provided with a copy of this information is because they are paying for it. Sweet deal for the lenders…….. all that protection for them …….. no cost out of their pocket. This is fundamentally wrong and really should be changed. By that logic lenders should also pay CMHC and title insurance premiums. Good luck with that. If you don’t like the system, you can always wait 20 years and self finance. Interesting analysis. I hadn’t even thought that a holder of a mortgage on a parcel of property and client of a mortgage broker would be denied access to their appraisal, for which they paid a fee either upfront or as part of the settlement of the mortgage funding. 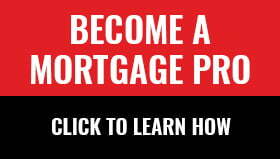 Though, I disagree with the post saying the “lender” is the mortgage broker’s client. Wrong – the mortgage broker, a “middleman” if there was one for sure, has two (2) clients, the “lender” and the “borrower”. It helps to facilitate the transaction between the two and is compensated by one (1) of the clients, which is almost always the “lender”. Bottom line: who pays their compensation does not determine who their customer is. I get that the “lender” may not want the “borrower” to obtain copies of an appraisal to set up the mortgage. However, having paid for that appraisal, whether it was reimbursed to them by the lender or the mortgage broker following closing need not matter, entitles them to an unredacted copy most definitely. This is similar to when a bank pull’s one’s credit report and credit score, the client is required to be provided a free copy upon request, though most banks’ policies require the copy of the credit report and credit score be provided “how to” information sheet that explains the codes and how to read it and generally must not explain how to interpret it themselves. Again, the bank or credit union paid for the report but must provide it upon request. A possible way around this is to have a rule, established by the national mortgage broker association and the Canadian Bankers Association and relevant non-bank lender associations jointly, that a copy of said appraisal must be provided – upon request – free of additional charge to the borrower following successful closing and funding of a mortgage. A further clause could even optionally be added that this requirement is subject to a 30- or 90-day “waiting period,” should such a clause be part of the mortgage terms that would allows someone to back out of a mortgage (doubt that exists but just “covering the bases”). That way, everyone is satisfied – client gets copy of appraisal and lender is assured it won’t be used for “shopping around purposes”. At renewal, an appraisal isn’t typically required unless the borrower is seeking new funds or a longer amortization period, I’d assume? So likely no issues there. If the appraiser says they have claim to the report and can “veto” its dissemination, I believe that to be false. The report is provided to the party that paid for it and they have full control over such dissemination. I think i am a victim of fraud between the banker and broker, denying me the house by just saying CHMC appraised the house at lower value and I need to pay the difference upfront if I want the house. The differenc being a high amt, I couldnt pay and I lost the house. They are not willing to share with me the appraiser report and I am confident that they are hiding something. Please advise from where can i get this report and my legal options. What it all comes down to for me is TRANSPARENCY. I am sick of getting the run-around by banks, lenders, brokers- EVERYONE. I agree with most of Doug Mehus’ comments, with one exception: the comment about using an appraisal to ‘shop around’. When I began looking for a lender to do a mortgage renewal/refinance, I was always asked what I thought the value of the house was. I shared that the appraisal done 6 years ago was for $575,000, so I felt confident that at THE VERY LEAST, it would be $600,000, however, considering $40,000 in roof upgrades/renos and the fact that property values in this area have risen 7.5% over the last 5 years, I was pretty sure it would be closer to $700,000. Just to be cautious though, I said $600,000. Things were thrown into total chaos when one appraisal came back at $350,000 and another at $455,000. The lender decided to pull out. So, that left me searching for other lenders- not because I want to ‘shop around’ but out of NECESSITY. I refuse to pay over and over for appraisals that could come in at ANY amount…from anyone Brookfield decides to give the contract to (or should I say, the first appraiser who responds to their job postings- even if they live 6 hours away from the property they are appraising…)and further impact MY finances and ability to get a mortgage, when there is one that has just been done that could be used. I have been dealing with this for THIRTEEN MONTHS now….broker after broker, and each time, a ‘new’ roadblock gets thrown in my path. 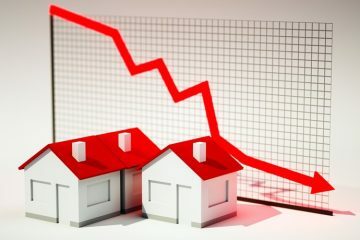 Owning a home in this country (which I have done for 27 years) is becoming an absolute NIGHTMARE- all because banks, lenders, appraisers and useless ‘middle-man’ companies such as Brookfield all want to get their fingers in and get a little piece of the pie. And now, I will be the one who will have to pay to pursue things legally, to obtain a copy of the appraisal- information about something that I OWN and that affects ME financially. Unbelievable. What a sad state of affairs this country is in. I like how you mentioned that appraisals are typically part of the mortgage process. One of my friends is thinking of buying a home soon, so this will be good information for him to learn. Thanks for the great information on appraisals.